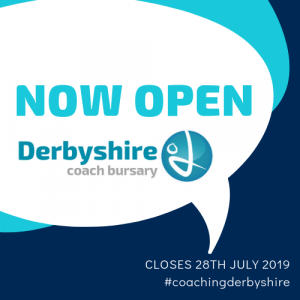 We are excited to announce the opening of the Derbyshire Coach Bursary on the 1st of April 2019. The Bursary is aimed at supporting coaches/activators who need financial help to gain qualifications required to deliver their activities. ii. People from lower socio-economic groups. iv. People with disabilities to become more active and engage in physical activity and sport. To be supported the coach/activator would be required to be delivering community-based activity and agree to deliver voluntary coaching hours to enable them to claim their funding. *Please note we are not able to support CPD courses at this present time. 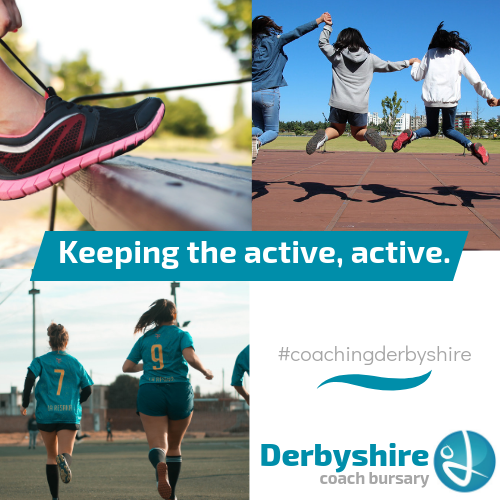 To be eligible a coach/activator must either live in Derbyshire or coach/activate within the Derbyshire boarders. To be supported the coach/activator will be required to be delivering community-based activity and agree to deliver voluntary coaching hours to enable them to claim funding. The Coach/activator must also APPLY BEFORE THE COURSE STARTS! The Derbyshire Coach Bursary will be run over 5 rounds* the dates of which are detailed below. *bursary will run over 5 rounds as long as funds allow. Please note that applicants will only be notified of the decision on their application once the round has closed and decisions have been made which can be up to 3 weeks after the end of the round. Notifications will be distributed via email so please ensure you list the correct email address.